Fire suppression systems are automatically operated systems which are triggered by either heat or smoke and will extinguish or contain a fire until further help arrives. The systems vary and use water, foams, chemicals and gases. Water suppression systems include sprinklers, water mist and drencher systems. They are generally operated by a calibrated glass bulb (sprinkler) or a metal fusible link sensing the heat from a fire. When the bulb or fusible link fails, the water is sprayed on to the fire. We will promote the installation of sprinklers in education, commercial, residential and domestic premises as part of a fire engineered solution. Sprinklers save lives, protect property, minimise fire damage and reduce the environmental impact of a fire. The Chief Fire Officers Association (CFOA) supports the promotion and installation of Automatic Water Suppression Systems (AWSS). 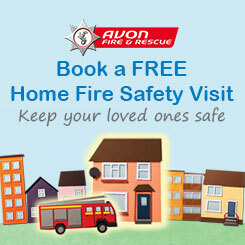 1,200 children in the UK aged under 11 are injured, and 35 are killed, in fires in the home every year.